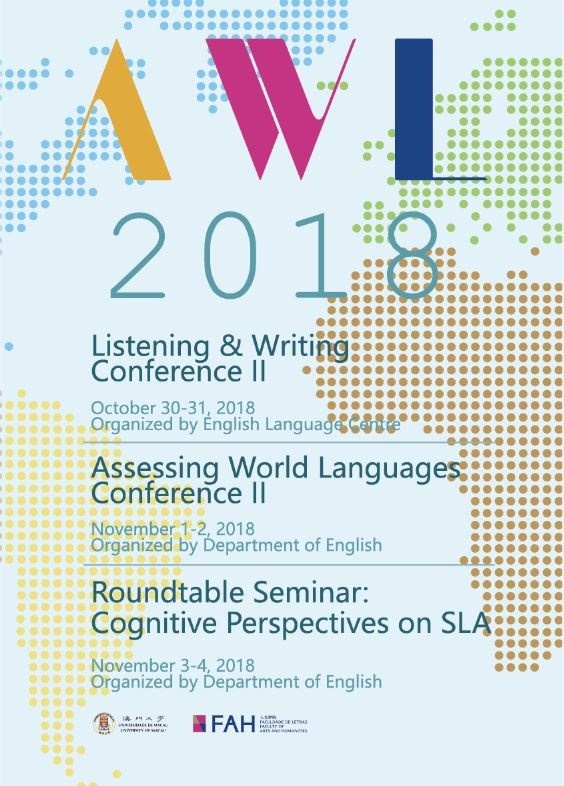 FAH-DENG conference: "Assessing World Languages 2"
Event Name FAH-DENG conference: "Assessing World Languages 2"
Content The Journal of Contemporary Asia (JCA) is a long-standing, English-language, peer-reviewed SSCI journal with a renowned international reputation. It offers alternative approaches to mainstream perspectives on contemporary Asian issues. 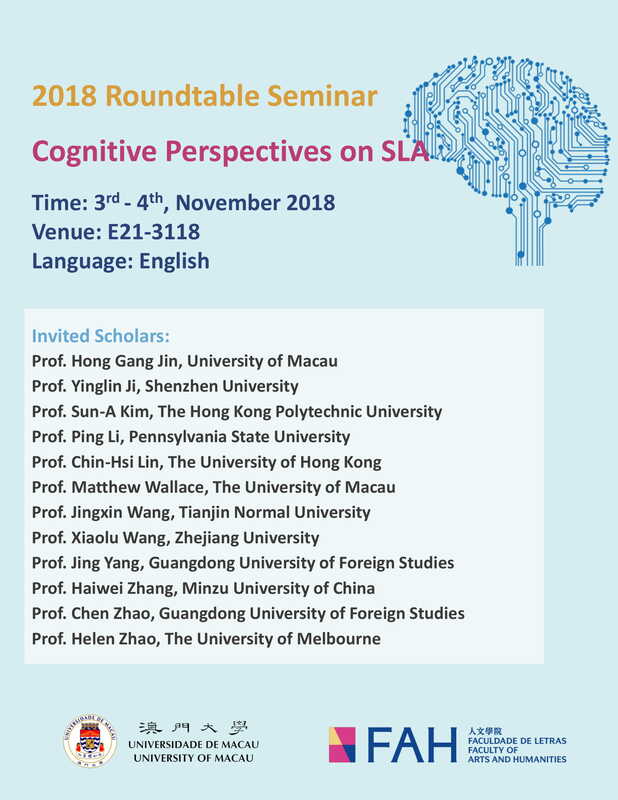 The workshop will explore recent trends in Asian scholarship. 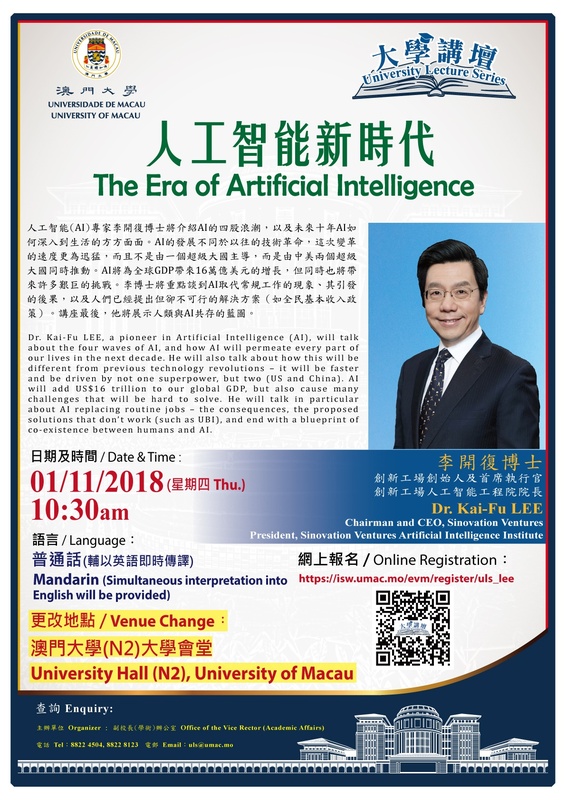 Content The University of Macau aims to establish a high-quality, all-rounded learning environment for students and the local community. 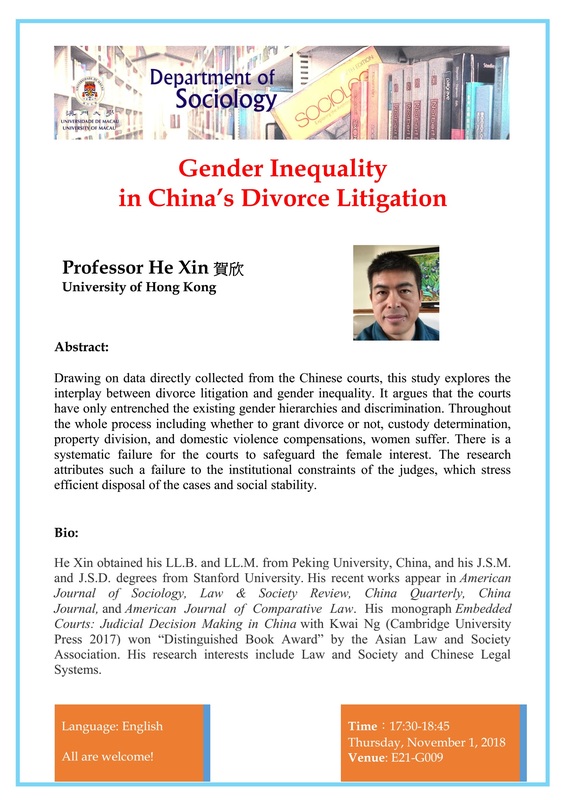 To this end, the Office of the Vice Rector (Academic Affairs) is organizing a series of public lectures and speeches to be known as the University Lecture Series. World-renowned scholars, prominent leaders from different fields, as well as the University’s own Distinguished and Chair Professors will be invited to deliver lectures on topics within their specialty which have a broad appeal to the academic community and the lay public. Remark Simultaneous interpretation into English will be provided. Content The goal of this seminar is to provide a platform for scholars to share their research findings concerning current cognitive studies in the fields of first and second language acquisition, and to explore possible and tangible collaborative research projects among researchers from different institutions in the field. Issues that concern related historical backgrounds, current trends, theories, methodologies, operational methods and techniques, training of research students, etc. are the focus of this seminar. 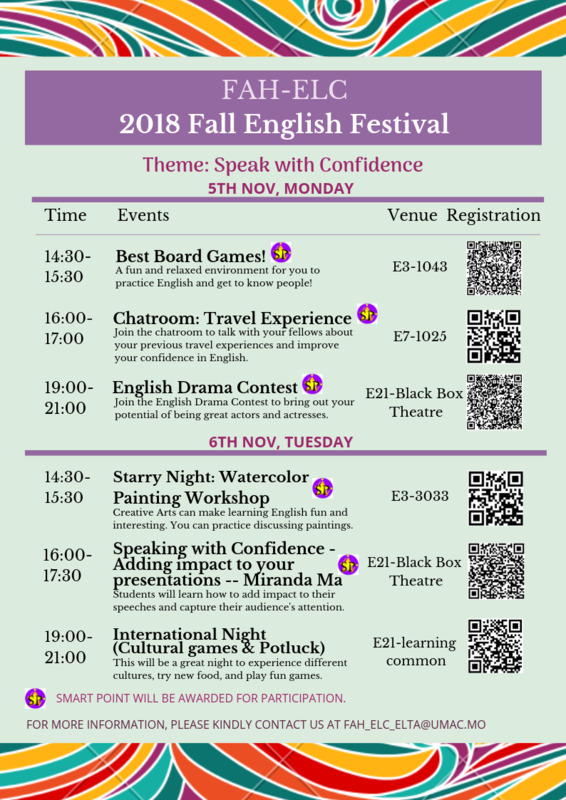 English Festival "Speaking with Confidence"
Event Name English Festival "Speaking with Confidence"
The English Language Centre (ELC) is going to organise the 2018 Fall English Festival. This year’s theme is “Speak with Confidence”. A series of English and fun activities will be held during 5-6 Nov, 2018. 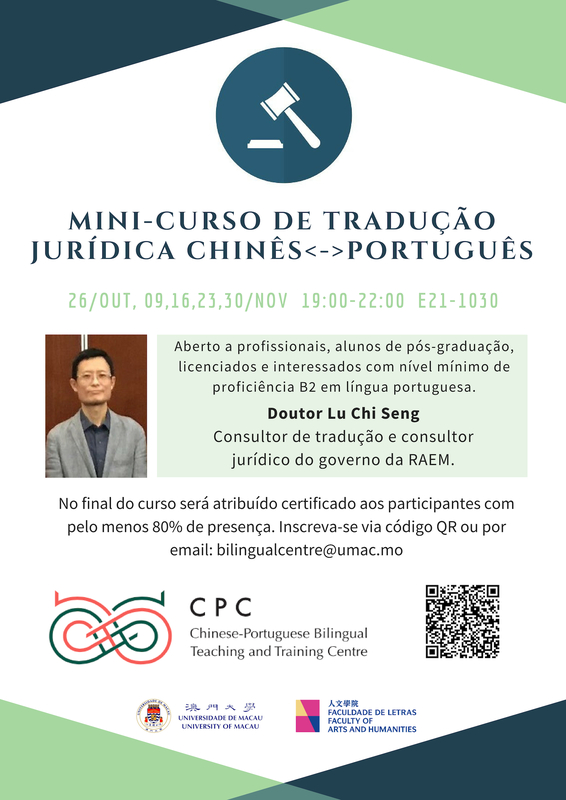 Quotas are limited and filled very quickly so please register soon! Please kindly see below for the festival schedule and registration. 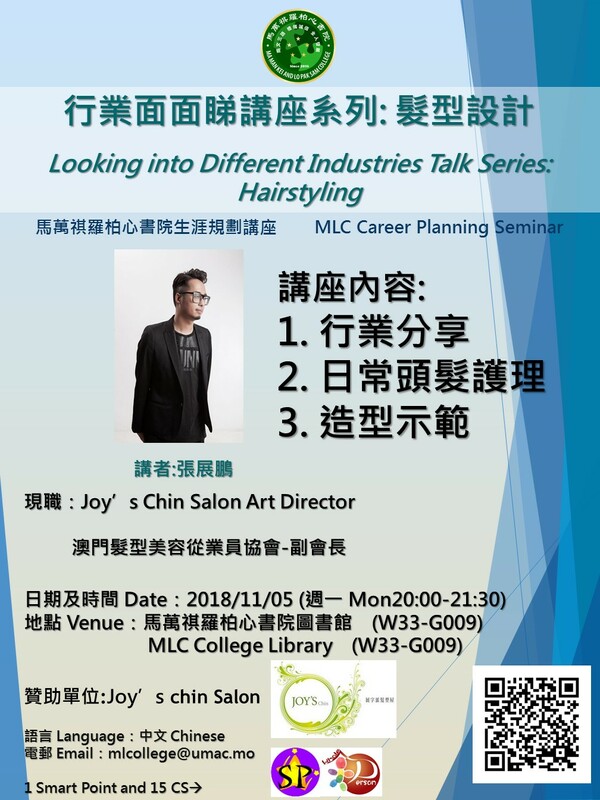 Content Mr. Cheong will share the inside story of hair-styling industry, he will also share the basic knowledge for hair care and demonstrate some basic hair styling in the workshop. 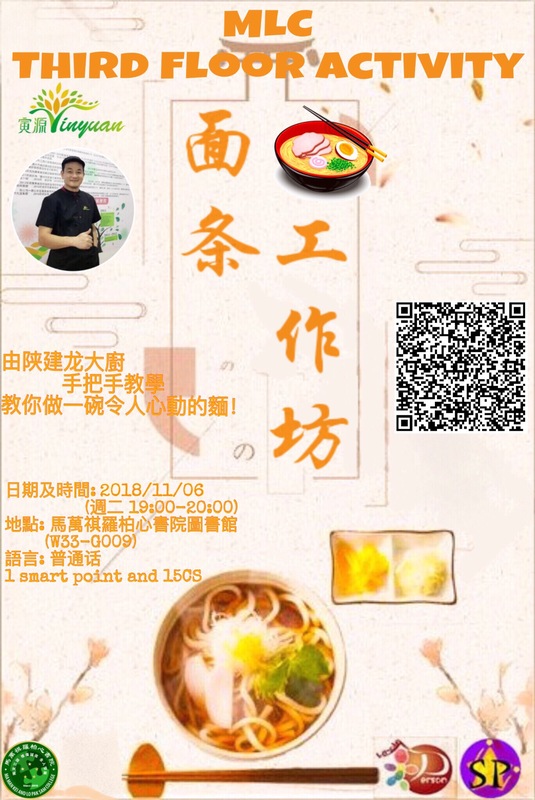 Content Master Shan from Guangdong Yinyuan Catering Service Company Limited Macau Branch Office will demonstrate the making process of traditional Chinese noodles for participants. Ma Man Kei and Lo Pak Sam College Lunch Seminar: Transgenic Animals for Research: What Do They Teach Us? 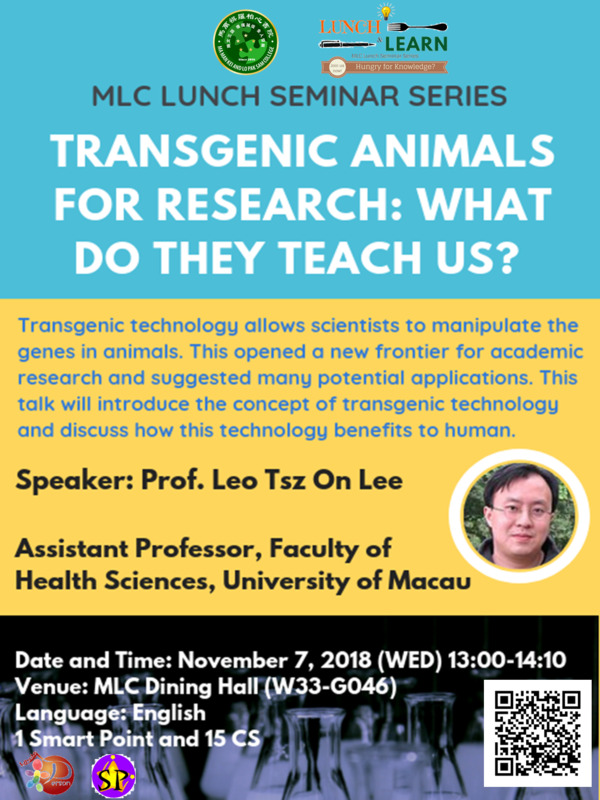 Event Name Ma Man Kei and Lo Pak Sam College Lunch Seminar: Transgenic Animals for Research: What Do They Teach Us? 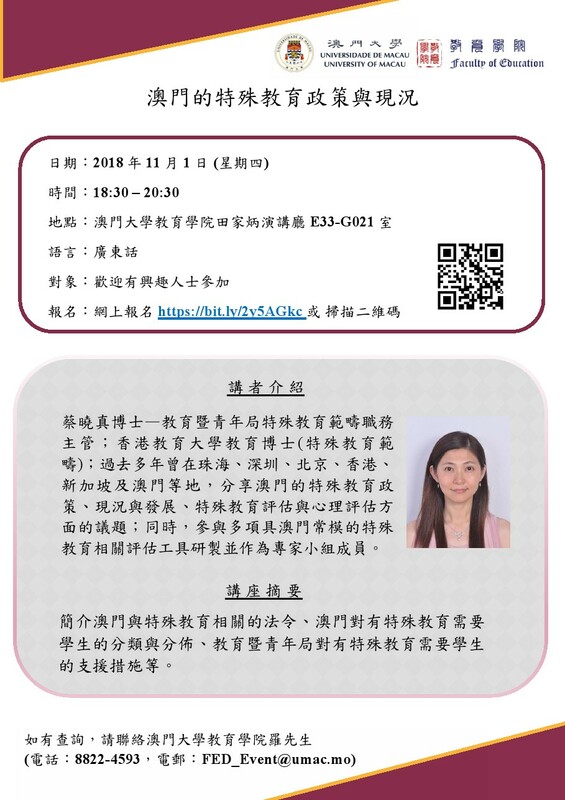 Content Prof. Leo Tsz On Lee is going to give a talk“Transgenic Animals for Research: What Do They Teach Us?”on 7/11/2018 . Transgenic technology allows scientists to manipulate the genes in animals. This opened a new frontier for academic research and suggested many potential applications. 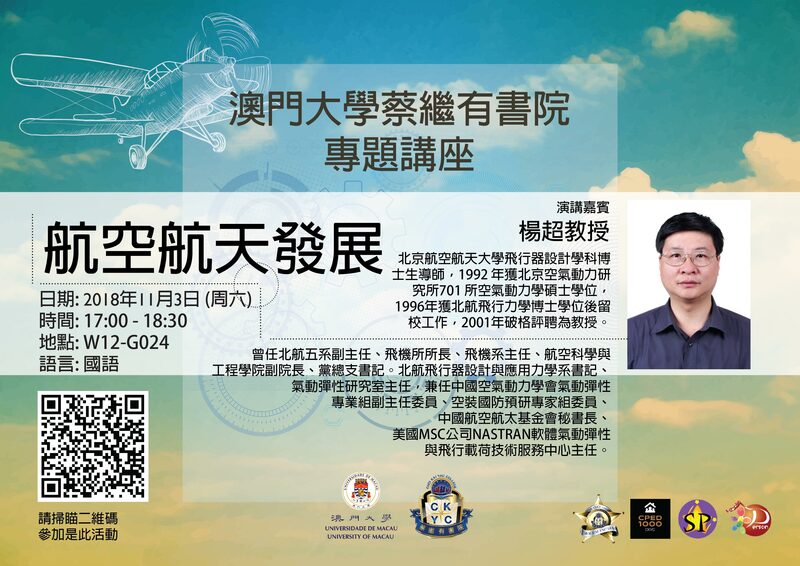 This talk will introduce the concept of transgenic technology and discuss how this technology benefits to human.